A great wide terrace with a direct access to the beach! Superb entirely renewed apartment in front of the beach of Port Grimaud. A/C in each bedroom + in the living-room. It is composed of a wide living-room, a kitchen, 2 bedrooms with a double bed, 1 bedroom with 4 bunk beds, 1 bathroom and 1 shower-room. 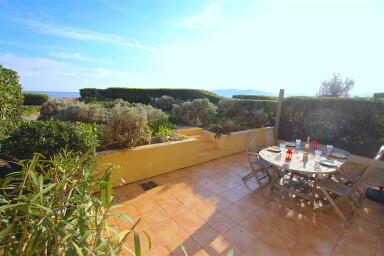 A large terrace with seaview and a direct access to the beach. An apartment with seaview and high-quality services.